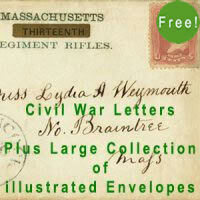 American Revolutionary Wars 1775 & 1861 Free 30 Page Sample, with 70 full colour images. The American Civil War was a civil war in the United States fought from 1861 to 1865. The Union faced secessionists in eleven Southern states grouped together as the Confederate States of America. The Union won the war, which remains the bloodiest in U.S. history. Each eBook has a free sample download suitable for all age groups. Every eBook is PDF, with chapters, short texts and mostly visual original material, where possible in full colour. 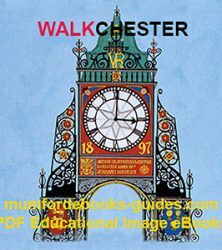 Each page is numbered, and has a light watermark copyright protection. Chapters on: American Civil War Letters; Posters; Original Photographs; Drawings and Sketches; Coloured Prints, President Abraham Lincoln, High-Tech War, Photography, Telegraph, Railroads, Recruitment Posters, Infantry, Gunners, Mounted Infantry, Volunteer Riflemen, Fort Union Sketch, Andrew Jackson Nickell, 114 Regiment Company E, Ohio Volunteer Infantry, advisors and generals, Vicksburg, Army Rations, Hard Biscuit, Fresh Meat, Confederacy, Mississippi River, Union Dissolved January 1860, War started April 1861, Union Soldiers were Winning in 1864, Maps, Battles on Land, River and Sea, Amateur & Professional Artists, Letters Home, Publication in Local Newspapers, Battle of Gettysburg, Armstrong Large Cannon, Ex-Ferry Ironclad, New Development of Battleships, Underwater Mines, Submarines, Massive Destruction of Railroads, Bridges and Whole Towns, Women Spy’s, Illustrated Letters and Envelopes, On-the-Spot Drawings. 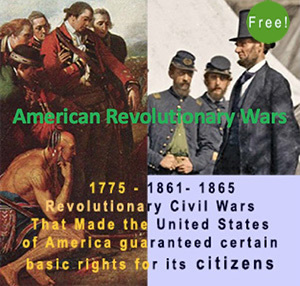 American Revolutionary Wars 1775 & 1861 Free 30 Page Sample, with 70 full colour images. As both American Revolutionary Wars I have divided them into 3 major parts. PART I Early History & Establishment of USA from 1775, PART II Social & Political Changes 1861-65, and PART III Technical Inventions Social & Military 1861-1918. 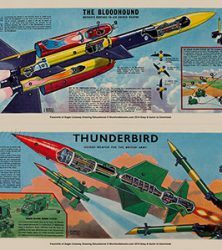 All three parts 1-3 will have most of their content taken from Original source material, like Letters (some letters transcribed), Drawings, Prints and Photographs. We are lucky we have our own antiquarian books together with the worldwide web, to extend our research. We use copyright free material and acknowledge any with their own web-site-hyperlink, and others already in the public domain, or with author’s permission. We will be publishing a series of Black and White images in blocks of 50 per set. The public are freely invited to choose one and digitally colour it. each colourist will have their name acknowledged. We recommend you download our free sample for Civil War Letters/Civil War 1860-65 to see first-hand the projected quality of our eBooks.